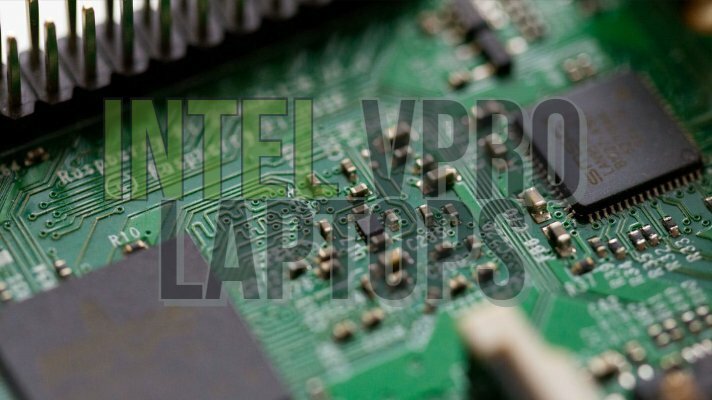 Before we list out the best Intel vPro Laptops, let us understand the use case of it to exist. It is a marketing term used by Intel to target their business customers with Enterprise ready hardware features such as a vPro-enabled processor, chipset, and a vPro-enabled UEFI compatible BIOS. In case if you are someone from IT or Business management arena, In that case, you may have heard of Intel’s Active Management Technology or Intel AMT which was initially introduced in 2007. 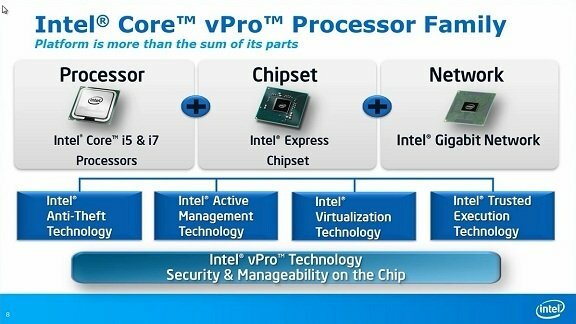 Yes, we are speaking about Intel vPro technology. The processors have been around since quite long, but with the emphasis on the need for remote management been fast catching up, the processors have been viewed with a renowned interest. However, with the 8th generation of its processors, it has been working in close quarters with the PC and laptop manufacturers to enhance usability. Well, Intel vPro is a brand name for a host of technology features. The primary and most important part of the branding would be the remote management. A portion of Intel AMT or Advanced Management Technology, vPro needs the supported device to have a vPro enabled processor, vPro enabled BIOS and vPro enabled chipset. vPro is essentially a platform comprising both hardware and firmware. The vPro hardware is found embedded within the chipset or CPU (in some cases, both) along with on the wireless or wired connectivity chips. 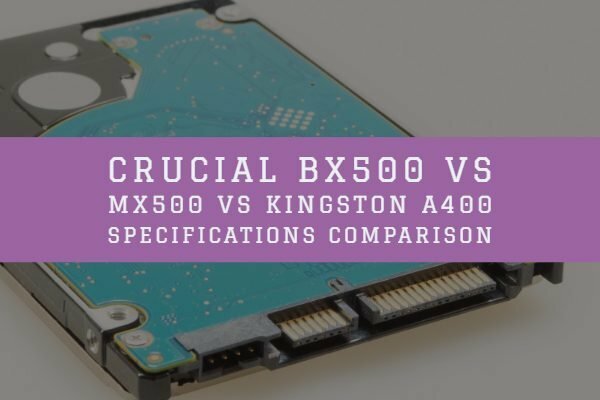 The technology – as things stand as of now has been included in Core i5, m5, i7, m7 and Xeon processors and devices running them. For its functionality, vPro would need access to the minimum requirement of a Trusted Platform Module or TPM for proper functionality. Well, Intel has been working closely with the PC and laptop manufacturers like Dell, HP, and Lenovo for the compatibility. There have been a few devices from these manufacturers that have been offering an excellent remote management functionality. Let us explore a few representative options among the different manufacturers. 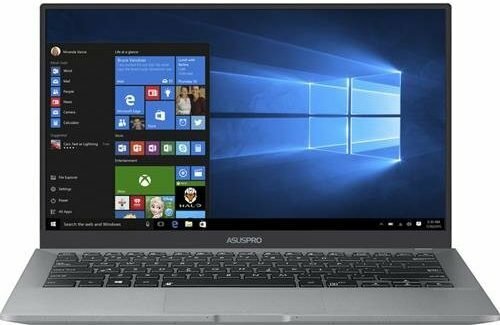 The AsusPro B9440 is powered by Intel Core i7 vPro processor, coupled with an additional vPro support for enterprise management. You also have access to the Trusted Platform Module support for hardware security. Lightweight at just 2.3 pounds, the Magnesium alloy chassis offers you an excellent level of portability. The laptop is powered by 7th Gen Intel Core i7-7500U 2.7 GHz Processor. Audiophile Crystal Clear sound quality. 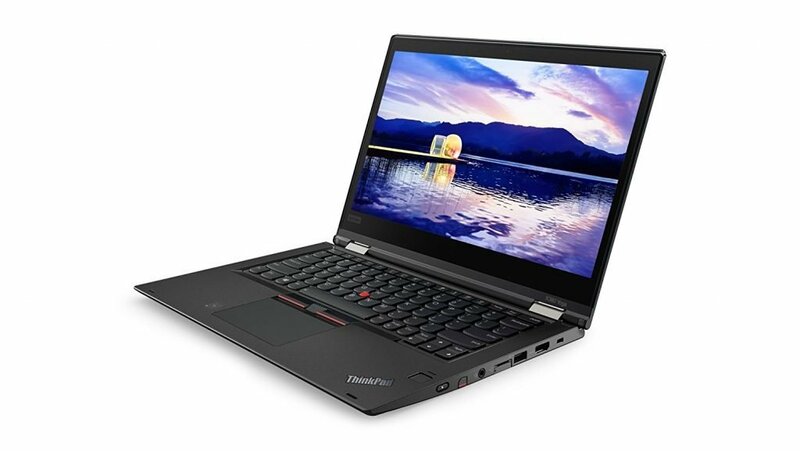 Another excellent option for the best in vPro functionality, the ThinkPad X380 Yoga is a secure mobility option for every aspect. The two in one notebook a dream come true for the IT administrator in you. The discrete Trusted Platform Module should aid you with enhanced security, thanks to the encryption provided. The FIDO authentication technology should help you safeguard all your data without any issues. A whopping 12.5 hours of battery backup. Zero to 80 percent battery in just under an hour. A wide range of security features like IR camera options, Windows Hello and fingerprint reader. 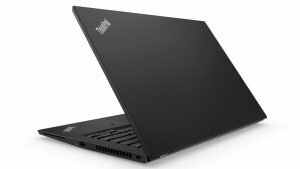 One more offering from Lenovo, the ThinkPad T480s is one of the best when it comes to the best configuration for security features. The 8th generation Intel® Core™ i7 processor with vPro compatibility offers you a high degree of performance. You get to make use of a perfect combination of a desktop and laptop in a single device. 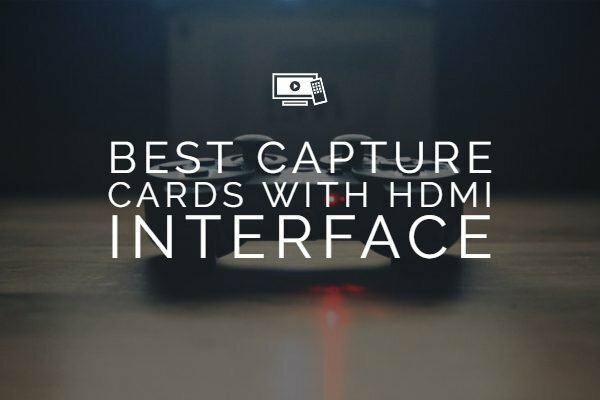 You can also go with an optional touchscreen functionality as well. The computer offers you high-end security features. The match on-chip fingerprint sensor comes with an anti-spoofing technology making it one of the secure platforms. Weighing just around 13.1 kg, it enhances your portability requirements ahead. Security at its best with Windows Hello, a touch fingerprint sensor, Infrared camera (this would be optional) and a standard webcam features would make it an excellent option for all your needs. World class music experience with Dolby Audio premium. The FIDO online security features should be one of the best options provide you with a stronger online security option. 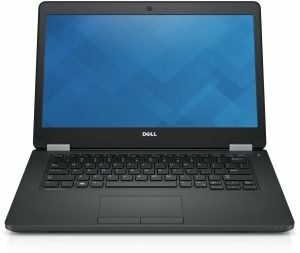 A laptop with advanced features, the Dell Latitude E5470 Business Laptop is equipped with either i5 or i5 Pro processors for enhanced security. Providing industry-leading M.2 SATA and M.2 PCIe/NVME solid state drives, it offers you access to the award-winning Dell Data Security Solutions. Considered to be the most manageable laptop, it offers you a flexible and automated BIOS and system configurations. The 180 degrees anodized hinge solution provides you with an across the desk productivity option. You can choose between quad core and dual core options depending upon your exact requirement. Faster data transfers over the traditional hard drive speeds. How Useful is the vPro Technology? The Intel vPro technology is specifically designed for remote management of your PCs and laptops. As of now, the basic functionality of the concept would be to enable remote diagnosis, management, and updating of your notebooks without the need to be at the site. It can also be helpful when you are about to undertake software deployment across multiple machines in your organization. The IT department of your organization can quickly login to the vPro systems and handle software installations. 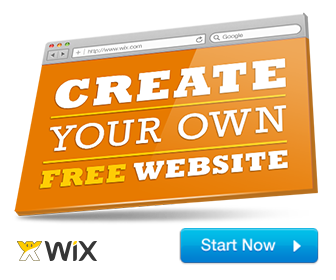 That would make updating the BIOS, default applications or even third party tools without any need to visit the site. That was what we about Intel Core vPro and the laptops that come with it. Please note that the laptops we listed in this compilation are representative and you would find more choices than the ones featured here. 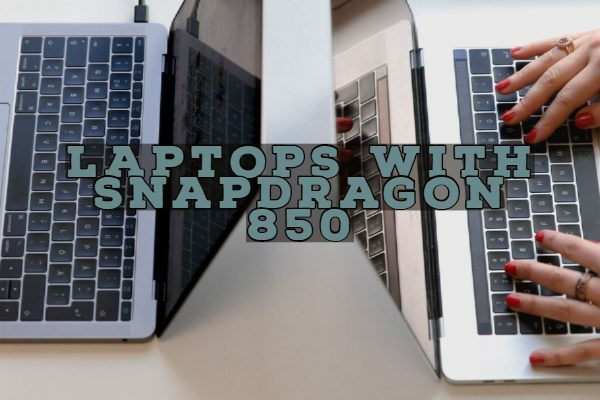 Do share your thoughts with us about the laptops we have featured in this collection. Do let us know if you are aware of any better options with vPro functionality so that the horizons of knowledge would enhance further.